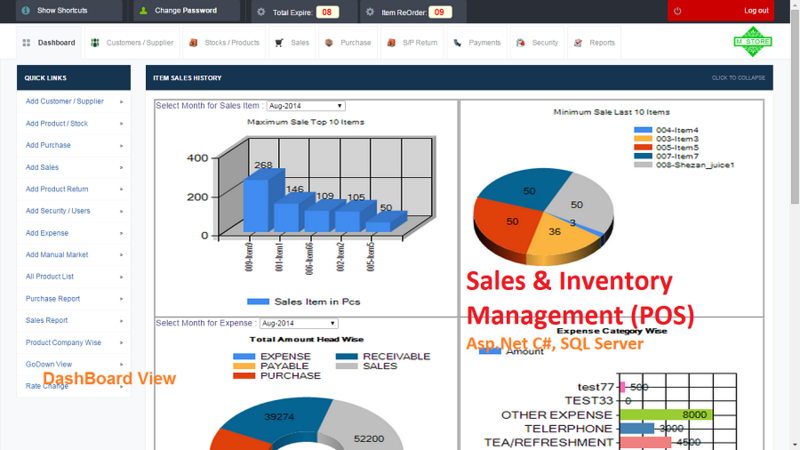 Sales and Inventory Management (POS) is ASP.NET – C# based web application that helps you to manage your business. 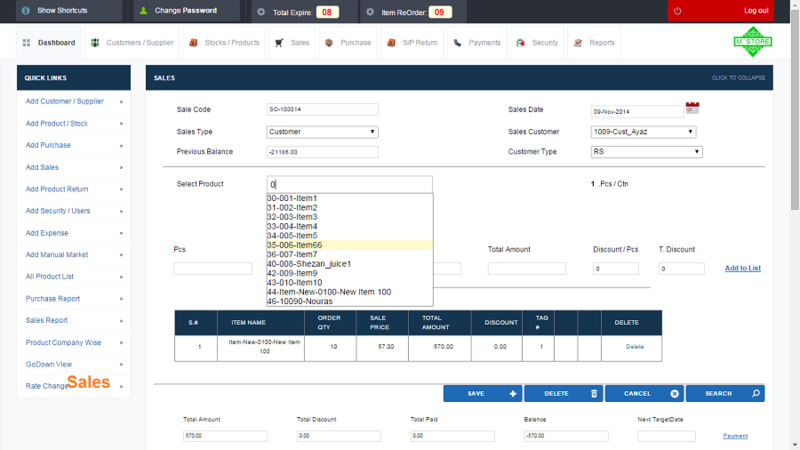 It’s include Registration of Customer and Supplier, Sales, Purchase, Add Update Product, Stock , Return, User Management, wide range of Report etc. 1 – Download project Zip file from our server and Extract zip file in your local directory. 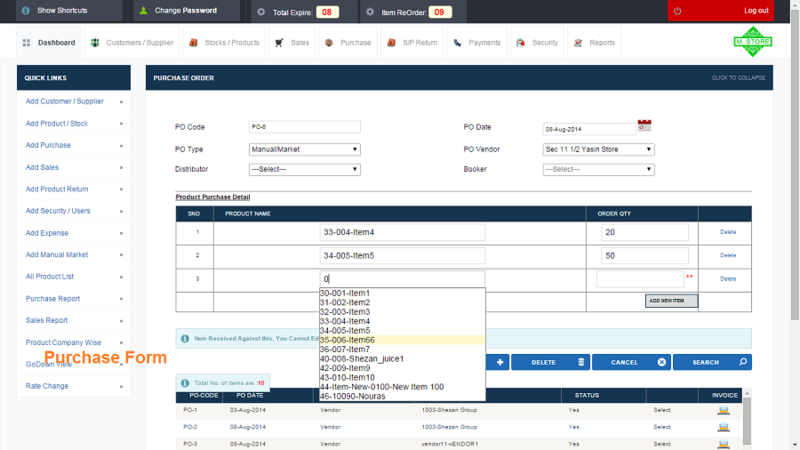 2 – Find the pos.bak file in documentation folder and restore database. 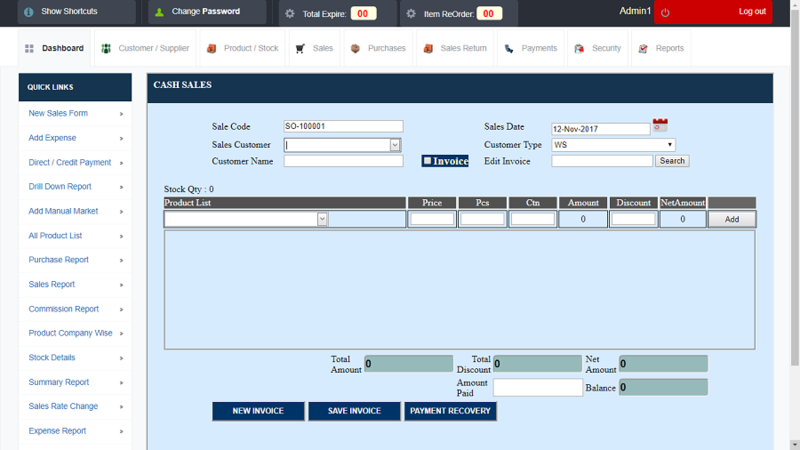 4 – Change the connection string in web.config file. 5 – Press f5 to run, that’s it. 3. 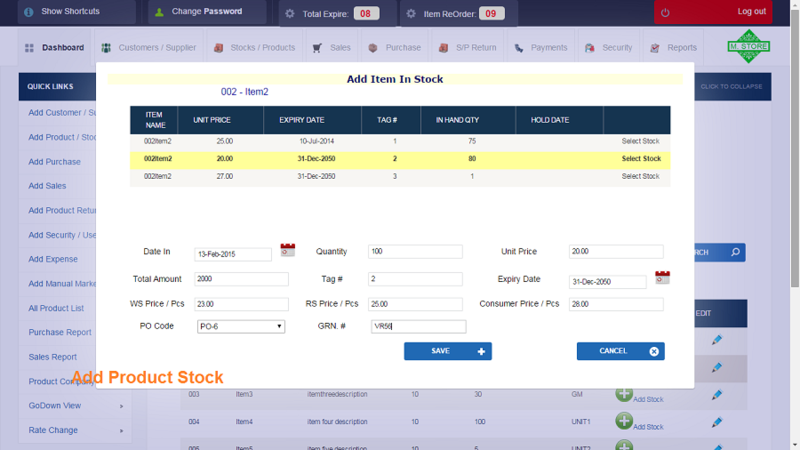 Add / Update Product Stock with same product with different Expiery Date, Rates. 4. 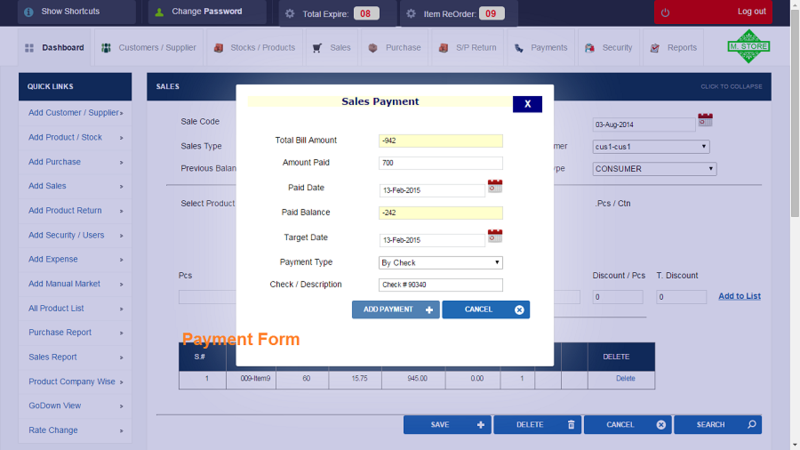 Sale Product registered customer as well as counter customer on same window. 5. 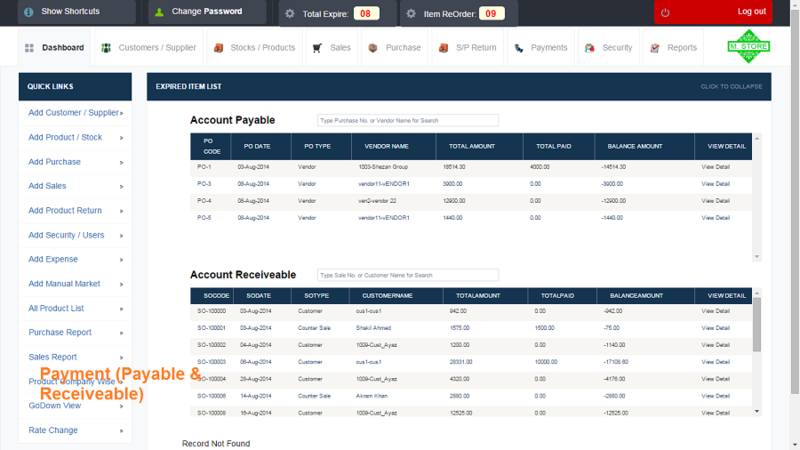 Account Payable & Receivable. 8. 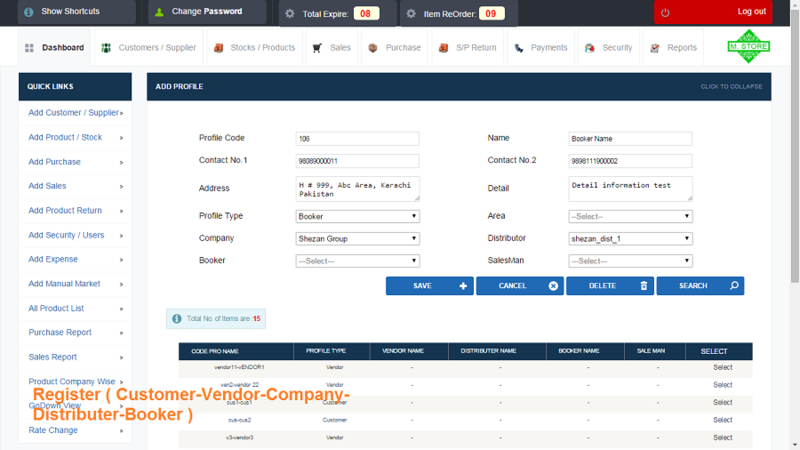 Customer & Supplier Registration. 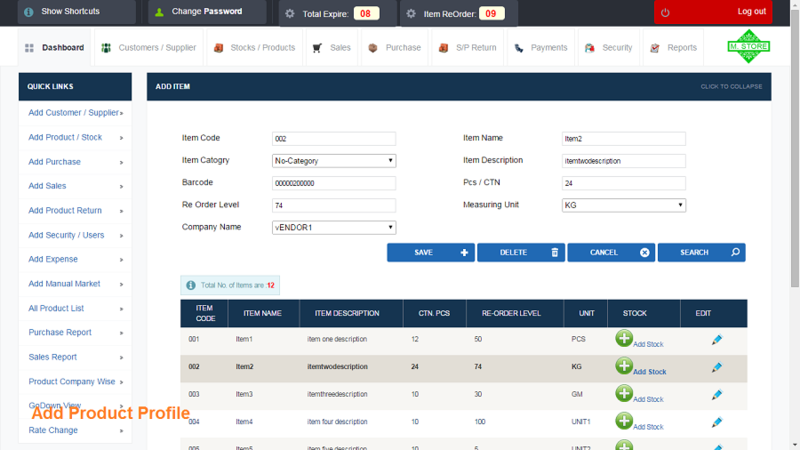 User Management Roles Admin, Casier, Purchaser, Seller etc.